"Known for many years as 'Brookside,' the Pitman Estate was located at 840 Main Street in Greenwood across from Cooper Street. The house was owned by Lawrence J. Pitman who was for many years associated with his father, Ezekiel Pitman, in the merchant tailoring business in Boston's Dock Square. Although a critical illness forced Lawrence to retire from active business at the age of 35, he recovered and lived to the age of 89. Mrs. Pitman was the former Euphronia J. Whittemore, a resident of Greenwood sicne the age of 14. 'Brookside' was said to have one of the largest and finest private residences with some of the most attractive grounds in Wakefield. His son, Richard, operated the Brookside Greenhouses in Greenwood until he died in 1925. 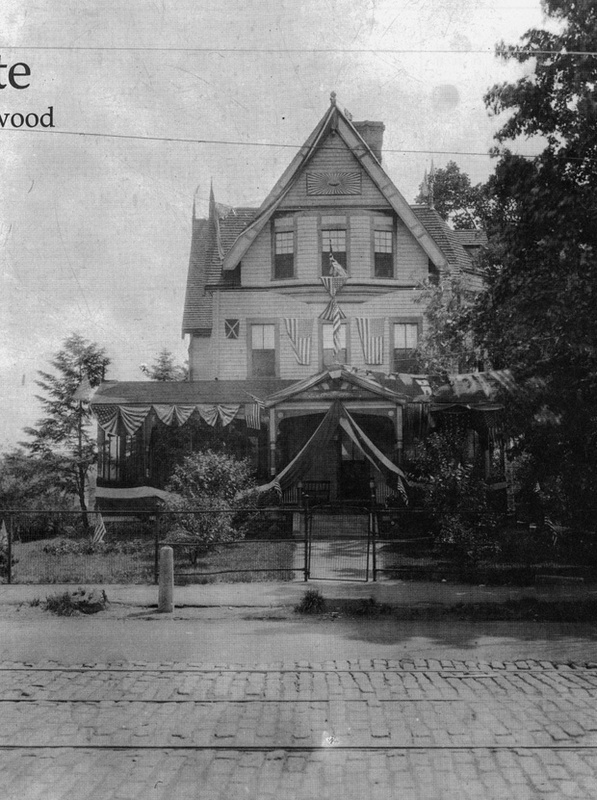 After Lawrence's death in November 1925 at Woodland Rest, a private hospital on Linden Avenue, the estate was left to a distant relative and was said to be in a state of disrepair when it was razed in 1945. The land was developed into a 20-house subdivision by Ralph Morel of the Morel Building Trust of Greenwood." -- Text from calendar by Jayne M. D'Onofrio. Photo courtesy of Wakefield Historical Society. “Pitman estate, 840 Main Street, Greenwood, 1923,” NOBLE Digital Heritage, accessed April 20, 2019, https://digitalheritage.noblenet.org/noble/items/show/7050.